Our clients are always asking us, "What Content Do I Need To Provide?" to get started. You may be suprised to know that you don't need to have all your web site content together to start with the design process. We just need a general structure of what you need. 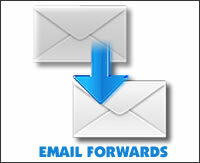 Sometimes we will ask you to send us a screenshot via email so we can see what you see on your screen. We often find that clients are not quite sure how to send a screenshot. It is actually very simple and easy to do. You will be suprised at how useful this tiny tool is. In Windows XP and Windows 7 there is a handy little tool called Snipping Tool located in your accessories folder. Get the most out of your web site! You only get one chance to make a first impression so get it right the first time. By following these hints and tips below you will be on your way to a successful web presence.